"Dry fruits thali for your loved once. 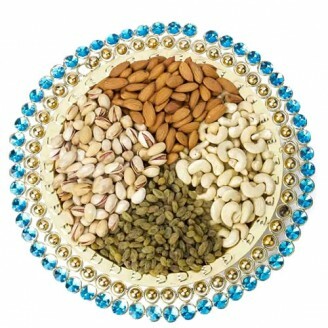 This designer dry fruits thali include 150 grms pista, badam, kaju and kismis. 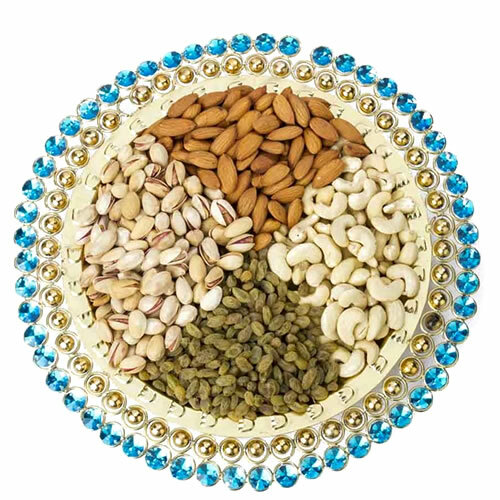 It can be same day delivered across Jaipur.GiftJaipur is pioneer in delivering premier products across Jaipur.